Did you know that in Canada, books for visually impaired readers can be sent through the mail for free? This has been the case for more than 100 years. That is one of the many fascinating things I have learned while helping a researcher in the DigiLab. One of the projects hosted in the DigiLab last year was with the Canadian National Institute for the Blind (CNIB). They are celebrating their 100th anniversary in 2018, and to mark it they created the online exhibition, That All May Read. Below you’ll find information about some of the textual material they digitized that can now be viewed through LAC’s Archives Search. 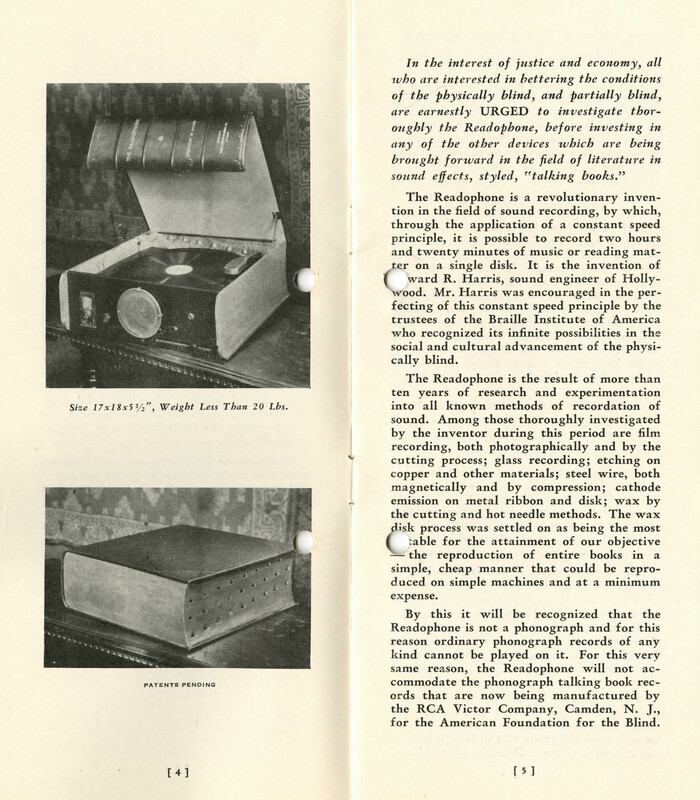 For example, these pages were extracted from a pamphlet presenting the Readophone, an invention by Edward R. Harris, a Hollywood sound engineer. Technology facilitates the way people with impaired vision access books. Optelec readers were recently installed in our consultation rooms at 395 Wellington Street. These tools can convert printed text into speech, magnify text, and change the background colour to facilitate reading on the screen. Caption: Optelec reader located at 395 Wellington Street. If you have an idea for a project, please email the DigiLab with an overview of your project, the complete reference of the material you would like to digitize, and any extra information you know about the collection. Material must be free from restrictions and copyright. After we verify the condition of the material to ensure it can be digitized safely, we’ll plan time for you in the DigiLab. We’ll provide training on handling the material and using the equipment, and you’ll digitize and capture simple metadata. 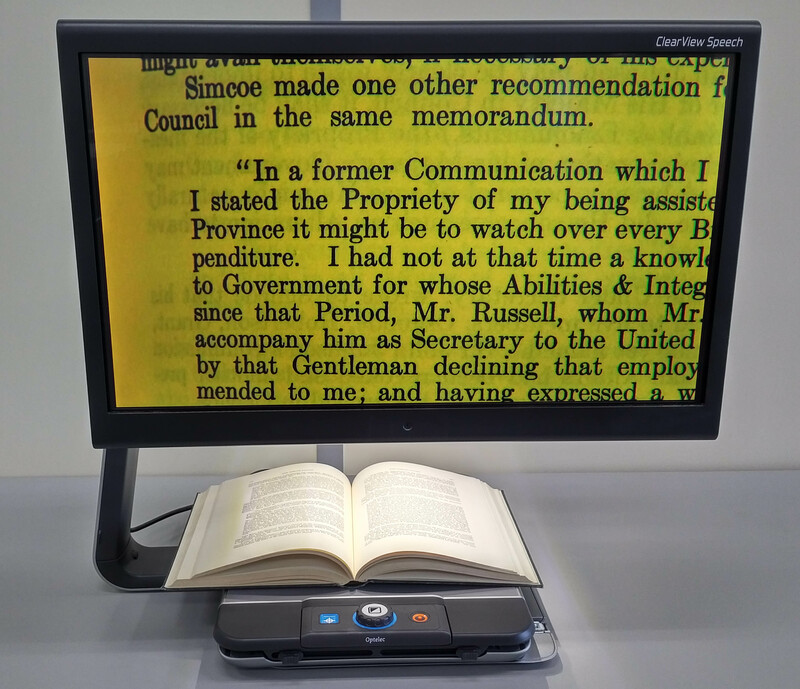 This entry was posted in Digitization, Photography and tagged CNIB, DigiLab, digitization, That All May Read by Library and Archives Canada Blog. Bookmark the permalink.